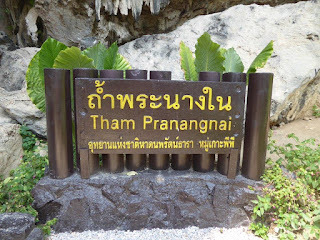 This was only my second visit to Tham Phra Nang Nai at Railay, Ao Nang, Krabi, Thailand. Tham Phra Nang Nai is also known as Diamond Cave. 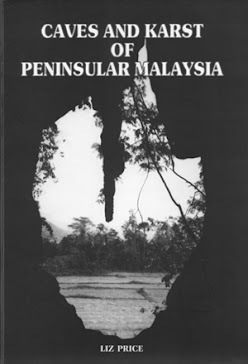 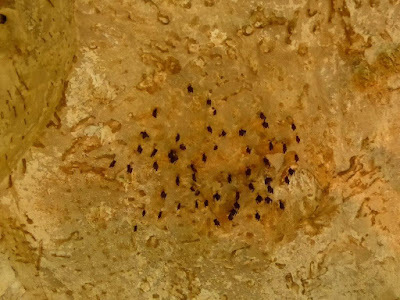 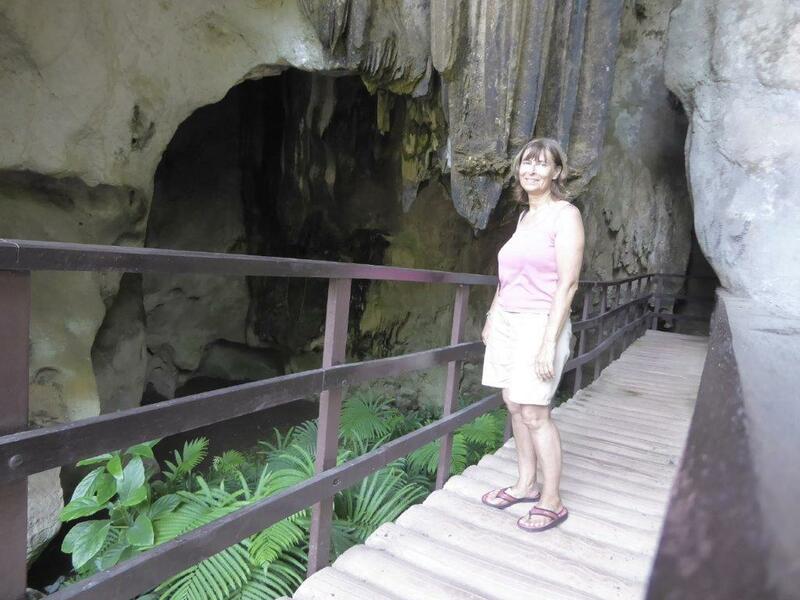 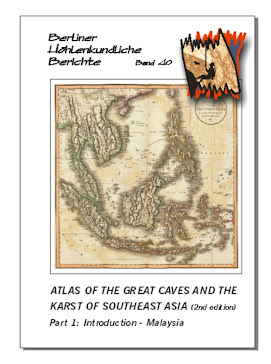 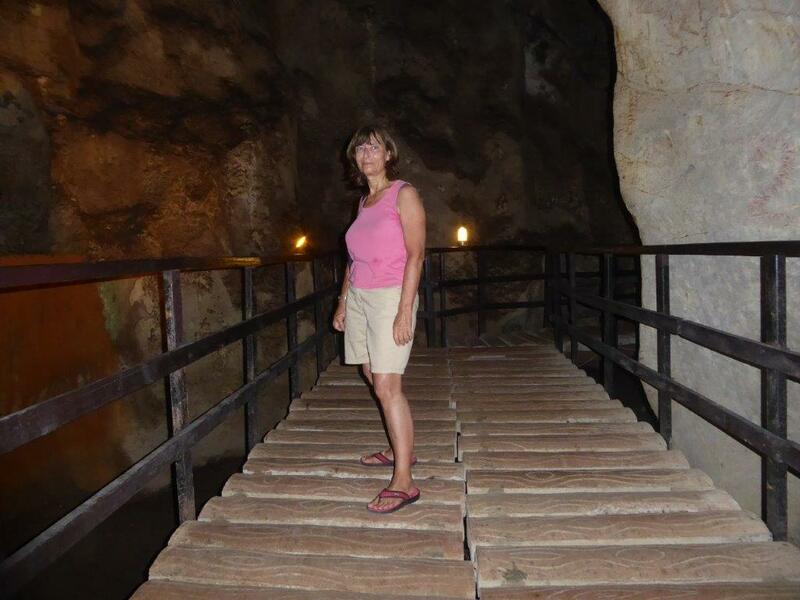 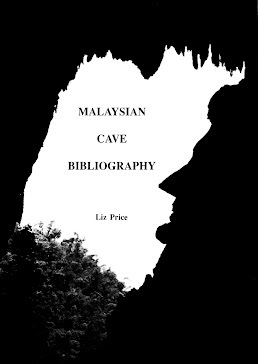 Although some years ago it was called Inner Princess Cave, see my 2002 blog, where I wrote "A larger cave was discovered more recently. It is at the north end of Rai Leh Beach and is called Tham Phra Nang Nai (Inner Princess Cave). 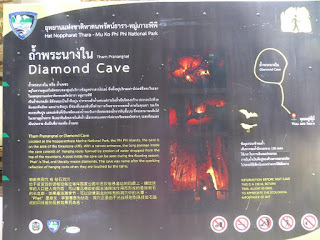 It used to be called Diamond Cave. The National Park authorities have lighted up the cave and built a concrete walkway for the convenience of visitors. 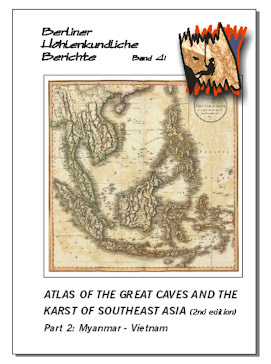 There is an admission fee of 20 Baht (RM2). The generator is switched on every other half hour, or when visitors show up. 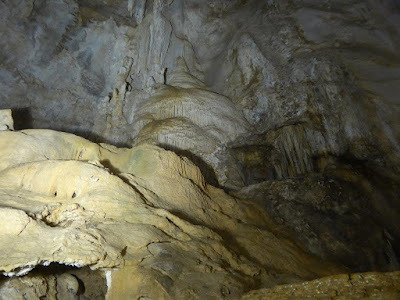 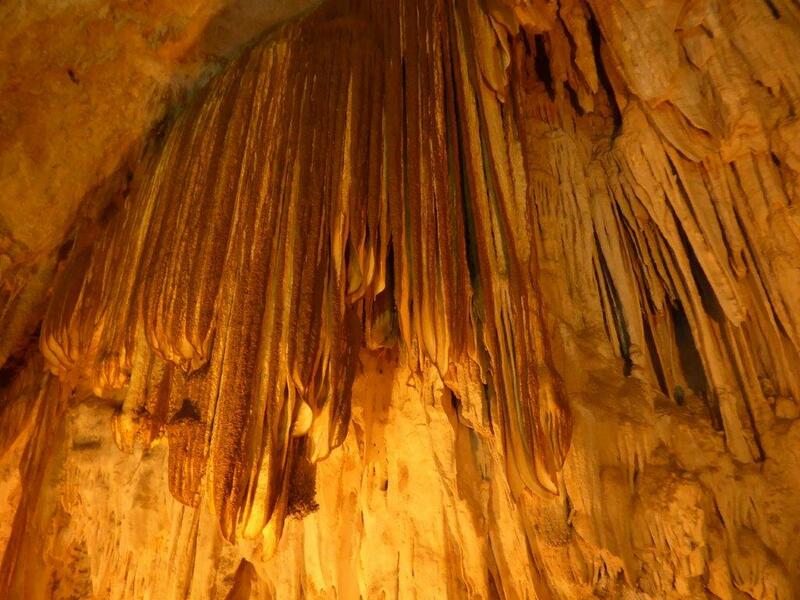 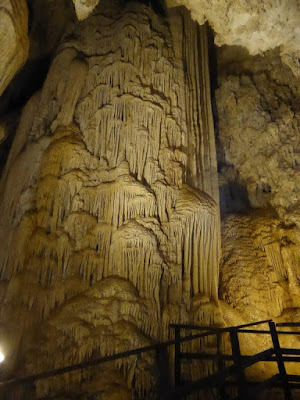 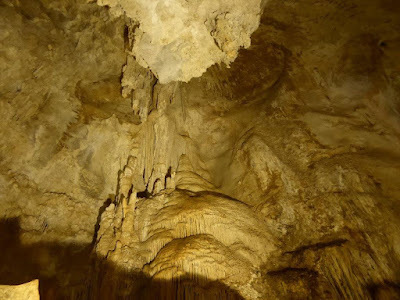 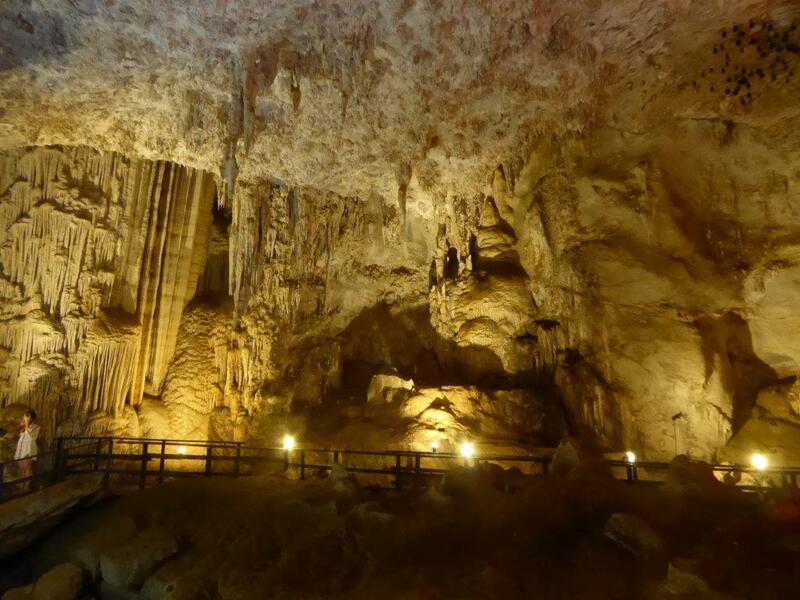 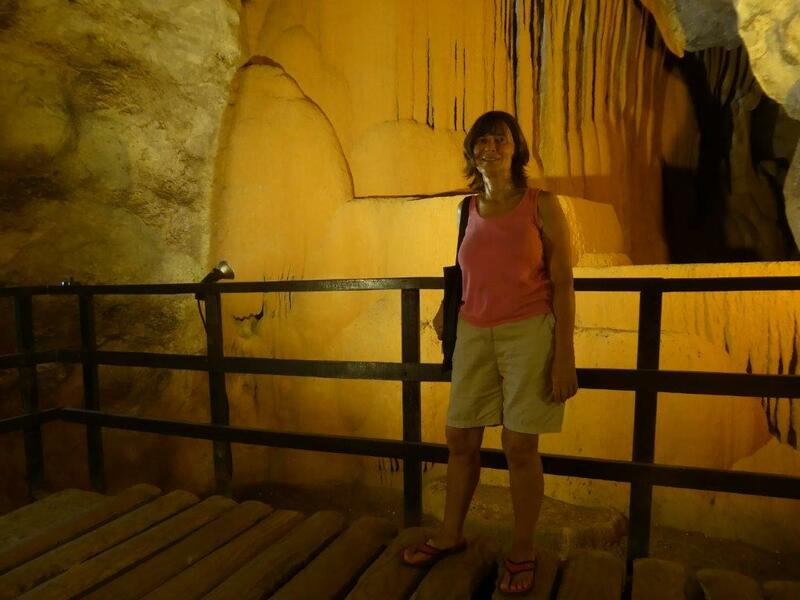 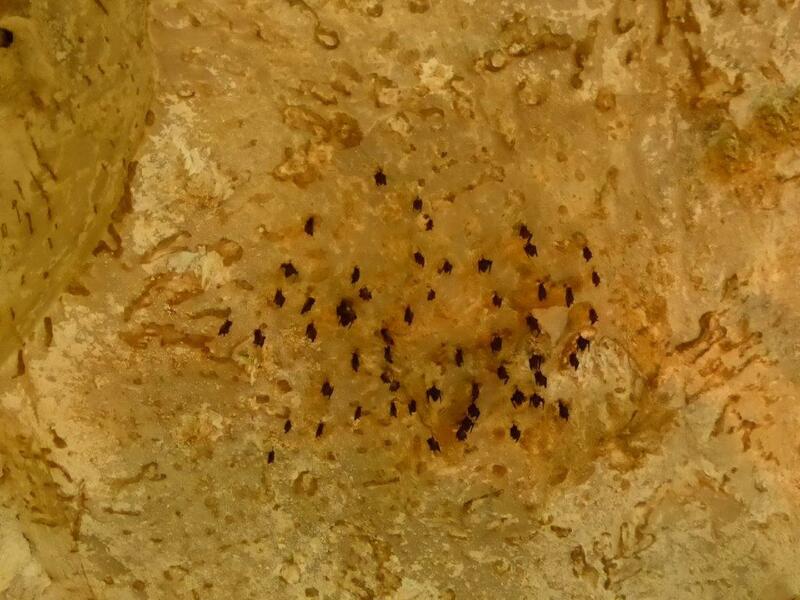 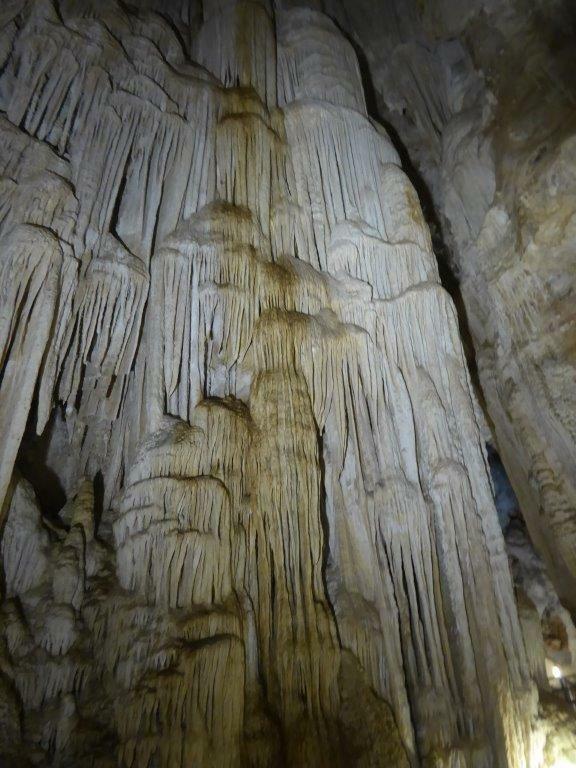 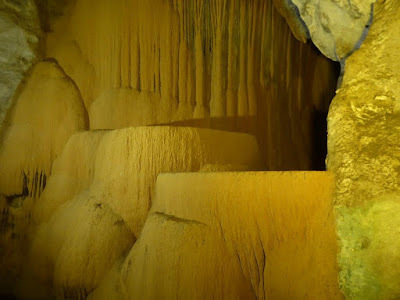 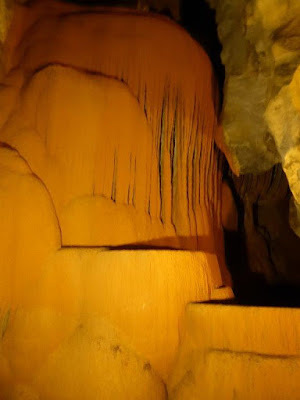 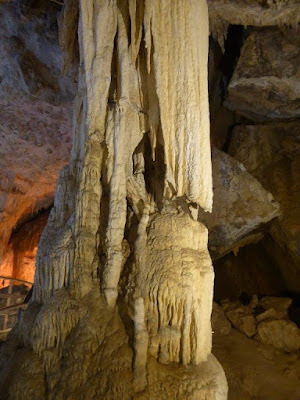 There is a beautiful golden flowstone in the cave, as well as some stunning stalagmites and stalactites. This cave is rumoured to be the grand palace of the princess, whilst the other cave is her summer palace. The cliffs outside the cave offer more climbing routes. " 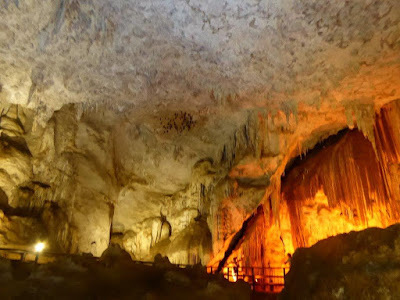 Now in 2017, admission is 100 Bt and the electricity is on all the time. 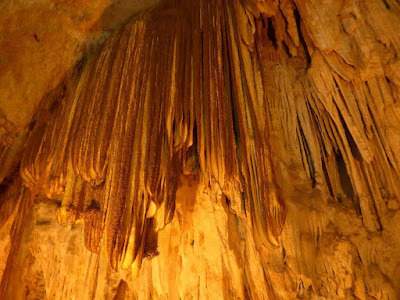 And it looks as if they have reverted to Diamond Cave for the English name.